Trey received a Bachelor of Science degree in Biology from Juaniata College in 2004. He went on to graduate from the Charleston School of Law in 2011. During law school, Trey served as a Senator and President Pro Tempore for the Student Bar Association and was recognized for performing over 200 hours of pro bono work with the Ninth Circuit Solicitor of South Carolina, the South Carolina Department of Health and Environmental Control and South Carolina Legal Services. Trey was admitted to the South Carolina Bar in 2011. He has also been admitted to practice in the United States District Court for the District of South Carolina and the United States Court of Appeals for the Fourth Judicial Circuit. Trey began his legal career in Orangeburg, South Carolina where he served as law clerk for the Honorable Edgar Dickson, Judge for the First Judicial Circuit. He continued practicing in Bamberg, South Carolina with Michael C. Tanner, LLC, focusing on defending medical malpractice claims for state funded hospitals and defending inmate constitutional violation claims for the South Carolina Department of Corrections. Trey continued his practice in Columbia, South Carolina at Grier, Cox and Cranshaw, where his practice involved litigation defense, including construction defect litigation, wrongful death, personal injury, workers compensation and general liability. While not serving his clients, Trey enjoys reading, staying active with boating, snowboarding, and sprint triathlons, and spending as much free time with his brothers, sisters, and father as possible. 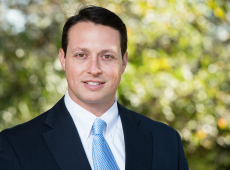 Trey has remained active in the legal community by serving as the Vice President of the Carolina chapter of the Charleston School of Law Alumni Association, working with South Carolina Legal Services for underprivileged individuals and acting as a court appointed Guardian Ad Litem.